Some sickness is not an ordinary sick but it was the result by our wrong manners and mostly affect to our earthly body. If we do not follow Gods’ advice, more likely we can get sick in the spiritual side. Luckily, Jesus Christ loves us by saving us from our sin! Jesus said; “Take my yoke upon you and learn from me, for I am gentle and humble in heart, and you will find rest for your souls (Matthew 11:29).” Anyway, that is not only verses comforting us in times of troubles especially when we are getting sick. Below are the comforting bible verses for the sick that help us to sooth spiritually. Matthew 12:15 Jesus, aware of this, withdrew from there. And many followed him, and he healed them all. Psalm 41:3 The Lord sustains him on his sickbed; in his illness, you restore him to full health. John 10:10 The thief cometh not, but for to steal, and to kill, and to destroy: I have come that they might have life and that they might have [it] more abundantly. John 16:20-22 Truly, truly, I say to you, you will weep and lament, but the world will rejoice. You will be sorrowful, but your sorrow will turn into joy. When a woman is giving birth, she has sorrow because her hour has come, but when she has delivered the baby, she no longer remembers the anguish, for joy that a human being has been born into the world. So also you have sorrow now, but I will see you again, and your hearts will rejoice, and no one will take your joy from you. Matthew 14:14 When he went ashore he saw a great crowd, and he had compassion on them and healed on their sick. Psalm 103:13-14 As a father shows compassion to his children, so the Lord shows compassion to those who fear him. For he knows our frame; he remembers that we are dust. Exodus 15:26 And said, If thou wilt diligently hearken to the voice of the LORD thy God, and wilt do that which is right in his sight, and wilt give ear to his commandments and keep all his statutes, I will put none of these diseases upon thee, which I have brought upon the Egyptians: for I [am] the LORD that healeth thee. James 5:13-16 Is anyone among you suffering? Let him pray. Is anyone cheerful? Let him sing praise. Is anyone among you sick? Let him call for the elders of the church, and let them pray over him, anointing him with oil in the name of the Lord. And the prayer of faith will save the one who is sick, and the Lord will raise him up. And if he has committed sins, he will be forgiven. Therefore, confess your sins to one another and pray for one another, that you may be healed. The prayer of a righteous person has great power as it is working. Jeremiah 30:17 For I will restore health to you, and your wounds I will heal, declares the Lord because they have called you an outcast:’ It is Zion, for whom no one cares! Acts 14:3 Long time, therefore, abode they speaking boldly in the Lord, which gave testimony unto the word of his grace, and granted signs and wonders to be done by their hands. Psalm 30:2-3, 5 O Lord my God, I cried to you for help, and you have healed me. O Lord, you have brought up my soul from Sheol (the grave). Weeping may tarry for the night, but joy comes with the morning. These are my collection of comforting Bible verses that showing us the love of the Lord which heal our soul from sicknesses or illnesses we have in the spiritual side. If you have additional verses about comforting bible verses, just leave it in the comment area and everyone can also ask anything related to our topic. 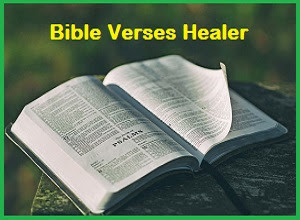 Bible verse prayers guide that help us when sick. "Heal me, O Lord, and I will be healed; save me and I will be saved, for you are the one I praise." "Is anyone among you sick? Let them call the elders of the church to pray over them and anoint them with oil in the name of the Lord. And the prayer offered in faith will make the sick person well; the Lord will raise them up. If they have sinned, they will be forgiven."